Becky Henry is an Eating Disorder Parent Coach/Retreat Facilitator, Speaker, National Award Winning Author. A National Award Winning Author, Henry first published, Just Tell Her To Stop; Family Stories of Eating Disorders in 2011 to reduce caregiver isolation, expose the reality of eating disorders, and reduce stigma. The Revised Second Edition will be available in ebook and physical format here soon. Sign up for the newsletter to get updates. 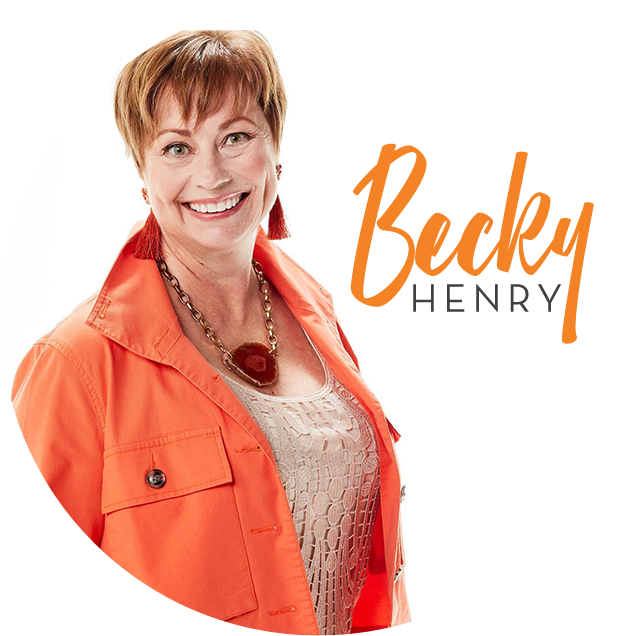 Becky Henry uses her lived experiences and skills as a Certified, Professional Co-Active Coach (CPCC) to coach families to let go of fear and panic, tolerate a loved one’s distress, set effective boundaries and become effective supporters for their loved one in eating disorder recovery. When families work with Becky they become, CALM, COMPASSIONATE, CONFIDENT CAREGIVERS. Becky founded Hope Network, LLC in 2003 to change the way parents are supported when caregiving. As a mom & coach who has walked this journey since 2000, she saw a huge gap in supporting families and decided to be the change. Memberships: International Coach Federation (on Minnesota Chapter Board 2015-2017), Board member; and Binge Eating Disorder Association (BEDA). What do I do when my child has an eating disorder? Sometimes the mom and dad just need to talk to someone who isn’t their child’s treatment provider. Worries about our other children can add to the burdens of parenting a child with an eating disorder. to become a more effective caregiver. When an eating disorder takes over the body and mind of your loved one, you want to have hope – hope that the person will want help to get better. You want hope that the eating disorder inpatient (or outpatient) treatment program will work. Becky has connections with resources all over the USA and helps family caregivers find the right ones for your family situation. How do you find the right treatment center? What causes an eating disorder relapse–and what does it look like? What constitutes an eating disorder? See how to find answers on the FAQ page. Becky Henry’s HOPE Network empowers caregivers to guide a loved one with an eating disorder through recovery, allowing them to reclaim joy! Everything we do is based on respect. We believe in caregivers being included in recovery. The way we include respect is by creating accessible programs that support, encourage and train caregivers of those with eating disorders. We’ve been there; we understand. What can you do to support your loved one? What works, what doesn't? Learn as much as possible about eating disorders so you understand what you are dealing with. Educating yourself will help you know what questions to ask to choose the appropriate solution-oriented treatment for your loved one. If you are wondering what questions would help in your particular situation, our group coaching classes or a complimentary 1-to-1 coaching session are both good places to start. What doesn’t work: Ignoring the situation, isolating yourself, getting angry, hoping they will just stop, blaming yourself, and working with treatment providers who blame the family rather than helping the healthy part of the sufferer to grow. What are the clues if your child is starving herself, has food phobias, or is restricting certain foods? He or she may sit at the table with you and say he/she ate at a friend’s house or that he will take his dinner to his room. Going to the bathroom a lot, especially after eating, excessive exercise, passing out, slipping grades, social isolation, behavior changes, hair falling out, skin changes, sullenness, food rituals are just some. Any food phobias and restricting foods can quickly develop into a life-threatening situation in a genetically pre-disposed person. These are all big red flags that need to be taken seriously. A great resource for these red flags is http://www.familyfeedingdynamics.com/. What can I read to learn as much as possible about this disorder? Many great books and websites are available. Visit my RESOURCES page, and you may order my book here which shares other families’ stories you may identify with. The book also includes many references to organizations, websites, books, and resources. How do we not neglect our other children? Make a conscious choice that the eating disorder will not be in control of the household. Choose to make time for the other children, even if it means finding others to be with your ill child.